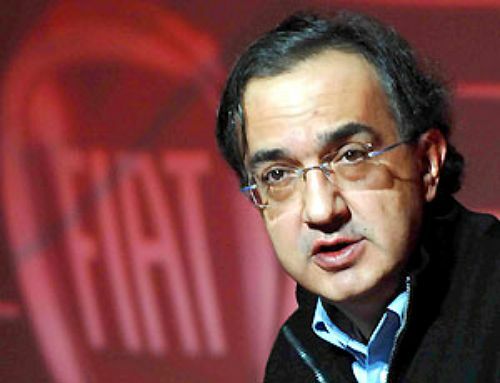 A prestigious Italian guru, Mario Deaglio, wrote recently that Sergio Marchionne, the head of Fiat-Chrysler, must be given credit for the single true turning point in the Italian polItics over several decades. Marchionne is supposed to be a top manager, not a statesman: What did he do of so much impact on the political scene? He simply is defying a belligerent metalworkers union, Fiom, in a resolute way that resembles a master stroke. Since 1945, when anti-fascist parties won power, Italy evolved into a society were unionism was politically motivated at the utmost. Hardly an important decision might really ignore the unions’ goals and bents. Consequently the Italian shop environment was determined by the unions’ activism and achievements. This explains the true amazement of observers and politicians when Marchionne started a confrontational course with the unions. He notified them that those Fiat plants whose productivity is low (because of industrial conflicts or of malpractices such as absenteeism) might end up moved abroad. He has prevailed over aggressive unions in Sicily (Termini Imerese plant) and near Naples (Pomigliano plant). At Pomigliano it usually happened that when the Naples soccer team was playing important games a majority of the Fiat workers took (paid) sick leave, i.e. practiced absenteeism. Moderate, middle of the road unions have accepted more rigorous industrial rules. Leftist Fiom, which once upon a time used to be powerful, is adamant in refusal. Marchionne is now warning that the very Turin plant, Mirafiori (the historical cradle of Italy’s car industry) will loose a several-billion Fiat investment if a majority of its workers will not approve the Marchionne reforms. Without said modernizing investment, Mirafiori will likely wither and Italy’s largest industry might leave the country. Most observers believe that Fiat is right in imposing a new contract in order to be able to compete in the world market; and that the claim that Marchionne is trying to enslave the employees is ridiculous. But they have an argument against the head of Fiat: he is paid too much. Estimates on his compensation differ wildly; possibly he is entitled to stock options valued as much as 100 million euro, on top of a 4,3 million per year salary. Unsympathetic analysts even calculate that Marchionne is paid the equivalent of 13,000 blue collar workers. Here they are right, of course. Marchionne’s and other top managers’ talent is hardly worth the work of thousands of employees. In fact, present Fiat business results are not brilliant. The heart of the matter, then, is unbridled hypercapitalism. Top bosses’ compensations are preposterous and grotesque almost everywhere. They are in no relation either with performance or with social responsibility. At some moment of WW2 the top incomes in the USA are said to have been taxed at 90%, i. e. almost confiscated. Clearly the present economic crisis should be the right time to forfeit the largest part of ludicrously high incomes. If the top rate reached 90% in the USA, present global competition is a sort of economic war that justifies emergency, stern measures. However a much higher taxation on the rich would postulate a quasi-socialist aim, while no prospect exists for any quasi-socialist program in a market economy like the Italian one. Only leftist parties might propose forfeiting laws, but their reputation could not be lower. They are not credible at all as the defenders of the public interest. Their integrity is no better than the one of the Right. The traditional Left is totally inadequate to promote a better distribution of wealth. Only a reputable, non-leftist, non-factional, non-professional breed of public figures would deserve the esteem of the community. The Italian politics does not possess such a breed. Any idealistic, even saintly program will be refused by public opinion if advanced by traditional career politicians. So the hypercapitalist champions will go on earning as much as large herds of their workers. Too bad. Because of the decline of the advanced economies, a comparatively near future will require the general enhancem ent of welfare. It will be so costly as to compel the governments to assail the richest taxpayers. If the process will be managed by the scoundrels, carpetbaggers and robber barons that run Italy, it will be a rotten process. By definition, the opposite of social justice.